The Johnson Group helped us sell our house and other properties at a time when the market was tough. Brian Johnson gave us ideas to “stage” our house that worked great. The guidance they gave us from the beginning of the selling process to the end was excellent. During a stressful time in our lives, The Johnson Group was there for us every step of the way and made the process un-stressful! I never had to wait for answers to my questions. I would highly recommend The Johnson Group to anyone and will use their services again in the future. "The Johnson Group is the best in Town. 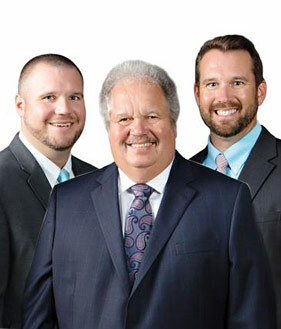 We worked with both Brian Johnson and Mark Johnson through our home buying process. Initially they assisted us in... continued"